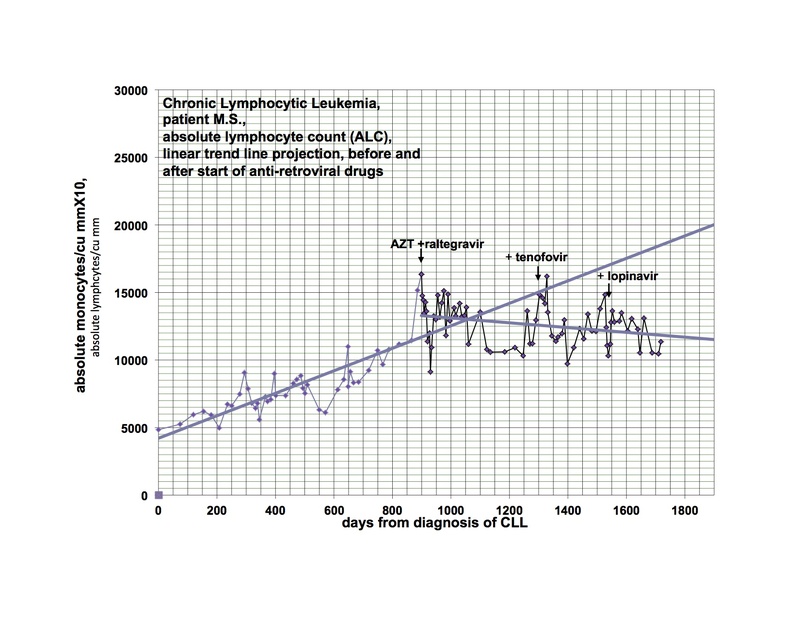 This entry was posted in Cancer, CLL, ME/CFS, Neuroimmune Disease, XMRV by Jamie. Bookmark the permalink. Thank you Dr Jamie and Dr Snyderman. I agree with you. Thank you for putting out a statement.. We all need to hear we are not alone after today. ME patients are the toughest people you will ever meet. They really do have to fight for everything and every moment of life. Eventually the ME retroviruses will return. They sadly cannot be taken away from us. I agree we need treatment trials. Half my family has cancer and the other half a neuroimmune disease. Something is going on and from what I saw of the press conference, research will continue for this illness. It’s not 2009 anymore when there was no hope and we were left to suffer. From what Dr. Lipkin said they plan to get to the bottom of what is making us sick. I have hope now where I had none for 18 years. Yes I would like to see the antibody response issue looked into which Dr. Lipkin spoke of, and said needed to be answered. Especially since I was Sero positive. And the PCR positives followed up with deep sequencing. Yes? This is meant to be about finding out who is infected, not what can be disproved in blood and with clever words. I would be interested in a comment from Ian Lipkin. What funders are most likely to fund this? Do you think this is a gamma? This cohort for the NIH multi lab study was selected with a home made criteria by the clinicians, Klimas, Bateman, Montoya, Levine, Peterson, Komaroff along with CAA/Suzanne Vernon’s input. They are responsible for turning what should have been a study looking at one disease to being about a label where anyone could and would have been present, with few if any ME patients. Why? Why did they do that to the patients? It is a little known fact that neither the Canadian consensus criteria or the Fukuda criteria require people have the landmark presentation of ME which is a global exacerbation of symptoms following even trivial increases in cognitive or physical activity. You only need to have post exertional fatigue. Which is tiredness after activity. The cohort for the NIH multi lab study therefore will have contained few if any ME patients. To top is off patients were first screened for inclusion by a telephone questionnaire, as per the Reeves criteria. Why didn’t they supply existing patients? How did they decide who to phone? The study is pretty much meaningless for this, but 6% of people were serology positive for MRVs. Infected with MRVs. That we are told to ignore, because they say so. They being the all might Oz. Man behind the curtain pulling your strings and tying patients to the homes and beds. I reject these clinicians and I am disgusted at their treatment of patients. I say they are unable to determine who does and does not have ME based on questionnaires and patients should have nothing more to do with them. Agree V99. Lipkin study: Study whomever you want by making up criteria and call it CFS/ME. Isn’t this what Wessely uses? (And then you can use ME or CFS as it suits the audience.) It’s not about what you do (methods or assays or gag sequences – even though we love to go on and on sounding all scientific), it is about who it’s on. That’s what is being manipulated all the time viv-a-vis ME/CFS or CFS/ME. Cohort and tests are being manipulated all the time, it isn’t only the criteria. Look at the UK MRC funded studies. How many are using tests on patients that have no known ability to work? Pointless trying to find if people have anything if the test doesn’t work. Same as for testing people selected by criteria that are subjective and not specific for a disease. How can you confirm anything that is unique to one disease, if the illness change every time there is a study? Both of these issues need cleaning up. I’ve thought for a while that moving away from the Office of Women’s Health in the NIH into a more suitable program such as infectious disease or neurology for CFS would be beneficial for patients so that more appropriate studies can be funded by the federal govt. I am thinking of trying to mount an email campaign as we did before to see what kind of effect we can get. We should be on their door step with pitchforks after what they did with the cohort in that study. We will never move forward with CFS/ME or ME/CFS. You have ME or CFS. As Gerwyn said, CFS is not a disease. Connecting it or combining with ME only perpetuates the trivialization and confusion and keeps us buried in the fatigue rubble. With no established meaning or case definition (no official recognition or designation for ME/CFS or CFS/ME; no WHO recognition or ICD code), will produce the same mystery or mixed cohorts with the same conflicting, meaningless results. (The fatigued and unwell probably do not have a retrovirus.) And why should we call it that; we do not need 2 names. Can’t imagine MS patients allowing MS studies that contain no actual MS patients but only those who may share a few symptoms. We should expect doctors to use and require established meanings and diagnoses, not keep making things up on the fly as the ME/CFSers love to try to inflict on us. There is a gammaretrovirus which is used in a small animal model of HIV infection.It causes autoimmunity and neurotoxicity in a disease termed murine aids. The virus that actually causes the illness is replication defective and is termed LP-BM5 def. It is accompanied by a replication competent virus called LP-BM5 eco. The point is that this mlv class virus infects CD20 B cells and causes them to expand by clonal expansion so that they dont replicate via Reverse transcriptase at all. If naked virus is filtered out in the lymph nodes the resulting infected B cell will activate ultimately forming plasma cells and memory B cells. 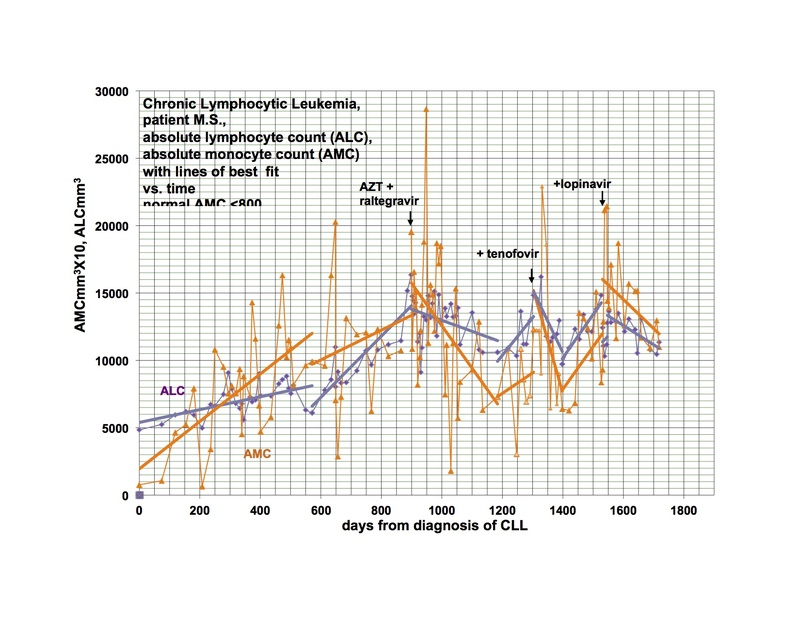 The latter home in to MALT and GALT lymphoid tissue.The same occurs if an APC presents a LP-BM5 virus to a B cell in the spleen .Therefore the vast bulk of the virus concentration is found in memory cells bound to secondary lymphoid tissue. Mlv viruses also become latent in resting B cells and hence would not even produce protein.Non specific inflammation could reactivate these cells and cause a HIV style blip in viral titre in the blood but otherwise the viruses would be confined to secondary and tertiary lymphoid tissue. If the MLV viruses in humans behave in the same way finding them in blood would be almost miraculous.I can only assume that the activation of the PMBCs in the original study raised titre sufficiently to be detectable.The other possibility could be an element of delayed blood processing which would allow the TNF alpha activated by phebotomy to stimulate the replication of the virus by increasing NF-kappa B via the canonical pathway. The study used an unrecognised criteria, did not required the cardinal feature of ME, they found serology and PCR positives. PCR was not in all aliquots from the same person, but it infects at too low a level to do that, as they do know. This study proves deep sequencing is required. It has not been done. Geesh. Good luck in finding an attorney or a solicitor in the UK that will take on such a case. Who are you going to get as an expert witness, Gerwyn? What is the cause of action? I hope you have ‘deep pockets’ if you find someone. FYI, by the way, foreigners would not be able to sue in U.S. courts for the cause of action stated above! Next research study involves deep sequencing for any and all retroviruses and mrv’s. I think you would be surprised what people can do and where they live, or were born. There is no study as yet that will be using deep sequencing to look for MRVs. That is one thing we have to make them do, in tissue, in ME patients. I would like to hear from a retroviral expert as to whether this sample handling would be valid given that the retrovirus does not stay in blood and reproduces at a low level – this stated by Dr. Mikovits, yet now we hear that this negative study rules out XMRV and pMLVs. Collection and processing of blood specimens.Fresh EDTA-treated whole-blood specimens were collected from participants on site, deidentified, and shipped overnight at 2 to 4°C to Columbia University for preparation of coded plasma and PBMC aliquots using lymphocyte separation medium. Two distinctly coded aliquots of the same sample were sent in random shipments to each laboratory. Sample testing.Aliquots of blood specimens received at Columbia University were analyzed for blood chemistries and serologic tests for HIV and syphilis at Columbia University’s Center for Advanced Laboratory Medicine or Quest Diagnostics. Thyroid hormone values were assessed by immunoassay in the CII laboratory (Merck/Millipore). Two distinctly coded aliquots of the same sample were sent in batched shipments for XMRV and pMLV testing to the participating laboratories. Spiked controls.All cell culture media, cryopreservation reagents, and human samples used as control samples were prescreened for pMLV and XMRV sequences using previously described PCR assays (32). XMRV from 22Rv1 cell culture supernatants and cells were quantified using a previously described PCR assay that can detect a single XMRV copy (32). One-ml coded aliquots of human plasma were spiked with 22Rv1 supernatant containing ~2,000 copies of XMRV RNA. Individual vials of cryopreserved human PBMCs containing 3 million cells were spiked with ~200 22Rv1 cells (2,000 copies/specimen) (33). Spiked plasma samples and PBMC specimens were stored at −80°C until being shipped on dry ice to the testing labs in a blinded fashion with the clinical specimens. Nucleic acid testing (NAT).The CDC received plasma specimens and performed several NAT assays as described in detail elsewhere (18, 27, 34-36). Briefly, 900 µl of plasma was ultracentrifuged at 45,000 rpm, and RNA was extracted from the pellet using a QIAamp viral RNA minikit (Qiagen). One negative-control human plasma specimen was included with every eleven test plasma specimens during the extraction process. Quantitative real-time RT-PCR assays (qRT-PCR) for generic pMLV/XMRV pro (protease) and gag detection were performed on RNA extracts. 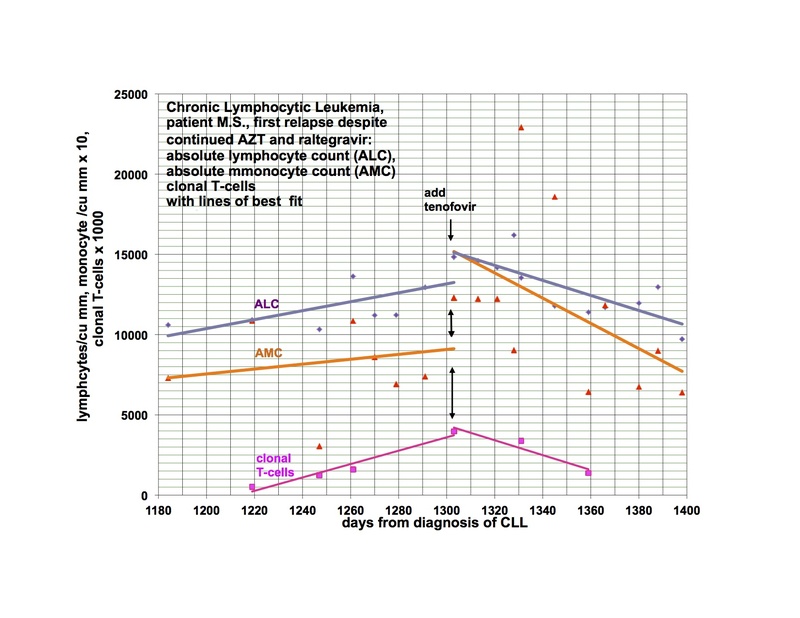 The AccessQuick RT-PCR system (Promega) with avian myeloblastosis virus (AMV) RT (Promega), and Tfl DNA polymerase (Promega) and an AgPath one-step RT-PCR kit (ABI/Ambion) with the ArrayScript RT and AmpliTaq Gold DNA polymerase were used for cDNA synthesis and amplification in the pro and gag qRT-PCR assays, respectively. A third PCR was done using the primers XPOLOF and XPOLOR, followed by a nested PCR with the primers XPOLIF and XPOLIR for the generic detection of MLV/XMRV 216-bp pol sequences (18, 27, 34-36). For this reaction, cDNA synthesis and amplification of RNA was done using AMV RT (Promega) and a RobustI RT-PCR kit (Finnzymes). Each PCR experiment included 20 water-only reactions to control for contamination. Positive bands of the correct size in each PCR assay were excised, purified, and sequenced. Detection of viral RNA and not DNA was verified by repeat qRT-PCR and nested-PCR testing of positive specimens with and without RT. To test for mouse DNA contamination, a quantitative real-time PCR assay for mouse intracisternal A particle (IAP) sequences was performed on samples that were PCR positive for XMRV/pMLV sequences (27). Specimens were considered positive if XMRV/pMLV RNA sequences were detected in at least two of three PCR assays and had undetectable IAP sequences or XMRV/pMLV DNA. The FDA laboratory of Lo and colleagues performed nested RT-PCR and PCR assays as previously described, with some modifications (11). Briefly, 500 µl of plasma was lysed by mixing with 2 ml viral lysis buffer AVL (Qiagen) containing 5 µg carrier RNA, and nucleic acids were purified using a QIAamp viral RNA kit (Qiagen). cDNA synthesis and the first-round PCR were carried out with recombinant Thermus thermophilus (rTth) DNA polymerase (Applied Biosystems) in triplicate using two-thirds of the total nucleic acids extracted from each specimen. For quality assurance, one negative-control plasma sample and one positive-control plasma sample (spiked with ~20 copies/ml of XMRV RNA from a 22Rv1 culture) were included with every 22 test plasma samples during the nucleic acid isolation process. During RT-PCR the following negative and positive controls were tested in triplicate: RNA diluent negative control, 2 copies of XMRV RNA per reaction, 6 copies of XMRV RNA per reaction, and 20 copies of XMRV RNA per reaction. Each assay run was considered valid if one of three XMRV-spiked positive-control plasma samples containing 20 copies/ml tested positive and at least two of three positive controls containing 6 copies of XMRV RNA per reaction tested positive. All negative controls always tested negative. Genomic DNA was extracted from PBMCs using a DNeasy blood and tissue kit (Qiagen). Nested PCR for MLV gag was performed in six replicates using 50 to 60 ng DNA and the 419F/1154R outer primer pair and GAG-I–F/GAG-I–R inner primer set using conditions as previously described (11). Internal positive controls consisted of normal human PBMC spiked with 22Rv1 cells (containing ~10 copies of XMRV genomes per cell). Each test run was considered valid if 2.5 copies of XMRV from 22Rv1 cells could be detected in all 3 triplicates by nested PCR. Any product of approximately the correct size (~746 bp for the outer primer pair and ~410 bp for the internal primer pairs) was excised, purified, and sequenced. PCR for detection of mouse mitochondrial DNA (mtDNA) was performed on all positive samples using a seminested PCR targeting the mouse-specific D-loop sequence as described previously (32). The mtDNA assay detected 3 fg of both mouse spleen DNA and EL4 mouse cell DNA used to spike into 50 ng of human DNA run in parallel as the positive controls. Detection of murine IAP sequences was also performed on all samples using an IAP PCR assay with 45 amplification cycles and a 72°C annealing temperature (37). The IAP PCR assay detected 100 fg of both mouse spleen DNA and EL4 mouse cell DNA used to spike 50 ng of human DNA and run in parallel as the positive controls (11). PCR assays for the Mikovits/Ruscetti/Hanson group were performed in the Hanson laboratory at Cornell University. RNA and DNA extracts of cultured PBMC (see “Virus culture assays” below) were received on dry ice and stored at −80°C until use. Nucleic acid concentrations were measured on a NanoDrop spectrophotometer (Thermo, Fisher), and RNA was diluted in RNase-free water to 750 ng/14 µl. Fourteen microliters of each RNA sample was used for cDNA synthesis with a SuperScript VILO cDNA synthesis kit (Invitrogen). Precautions against amplicon and mouse DNA contamination, nested PCR with the Gag-O/Gag-I primers, and single-round gagL PCR with 419F/711R primers was performed as described by Lee et al. (38). Any bands of about the expected size were excised, purified with a PureLink quick gel extraction kit (Invitrogen), sequenced, and analyzed using BLASTn. Adequate amounts of RNA were available except for three gag-negative samples, for which less than 750 ng of RNA was available. IAP PCR with sensitivity for detection of 10 fg of mouse DNA was performed on any gag-positive samples to exclude specimen and tissue culture contamination (38, 39). DNA was not available for IAP PCR for six gag-positive cultures. All gag-positive cDNA samples were negative for mouse IAP sequences. PCR assays were considered positive if XMRV/MLV-like gag sequences were detected after amplification with either set of primers. In order for a specimen to be considered positive, both of the duplicate aliquots that were received were required to test positive with at least one set of primers. Virus culture assays.Virus culture was performed on PBMC specimens by the Mikovits/Ruscetti/Hanson group at the Ruscetti laboratory. Briefly, 3 million PBMCs were stimulated with 200 U/ml interleukin 2 (IL-2) (rather than 20 U, which we observed to result in considerable cell death following thawing cells) and 2 µg phytohemagglutinin in RPMI containing 10% fetal bovine serum (FBS), 1% l-glutamine, and 1% penicillin-streptomycin in a T25 flask for 48 h. To reduce potential for contamination there was no coculture with LNCaP cells (32). Within the first 2 weeks, 10 to 15 million proliferating cells were then treated with 5 µM 5-aza-2-deoxycytidine for 4 to 5 days in order to inhibit DNA methylation, which could silence integrated retroviruses. The cells in two T25 flasks were pelleted and resuspended in Trizol (Invitrogen) for RNA isolation. The contents of two additional flasks were pelleted for DNA isolation with standard Trizol methods. 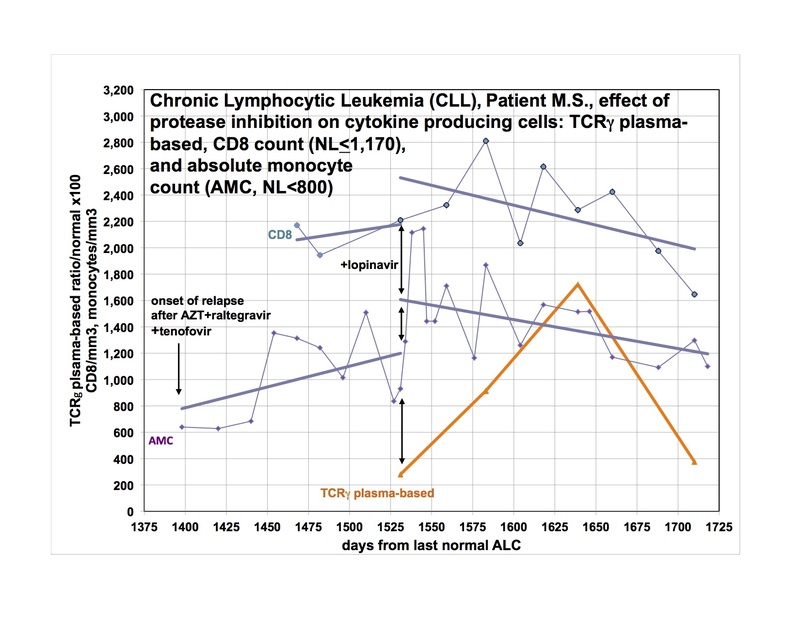 Serologic assays.At the Ruscetti lab, the Mikovits/Ruscetti/Hanson group performed a flow cytometry-based serologic assay modified slightly from what was previously reported (10). One million murine BaF3ER cells or BaF3ER cells expressing the recombinant spleen focus-forming virus (SFFV) envelope (Env) were incubated with 1:10, 1:100, and 1:1,000 dilutions of patient sera or control antisera for 20 min at room temperature. SFFV and XMRV are highly similar in the Env N terminus and would thus be recognized by cross-reactive antibodies in serologic assays. The 7C10 rat monoclonal antibody recognizes the N terminus of the XMRV/MLV Env and was used as a positive-control serum. XMRV Env blocks the binding of patient plasma to cell surface XMRV. Cells were washed, incubated with phycoerythrin (PE)-conjugated anti-human IgG (1:200) in FBS-PBS medium for 20 min at 4°C, and washed in cold PBS. Cells were then examined using a FACScan (Becton, Dickinson). Nonspecific reactivity to the BaF3ER cells was determined by incubating BaF3ER cells with patient sera diluted 1:10. Instrument settings were adjusted so that the center of the resulting negative histogram was in the center of the first log. Using the BaF3ER cells as a reference, live cells were determined using forward versus side scatter with the resulting plot set as negative and copied and pasted to the other samples in that group. This comparison was used to determine if the plasma was positive based on the level of fluorescence intensity of viable cells. Reactive human plasma does not always titrate with the 1:100 or 1:1,000 dilutions sometimes showing higher anti-human IgG binding to the BaF3ER-SFFV Env cells than the 1:10 dilution. Plasma specimens were determined to be positive if two of three dilutions reacted to the BaF3ER-SFFV Env cells at levels 3-fold that of the BaF3ER control cells. Data analysis was done using FlowJo software (Tree Star, Ashland, OR). I suggest doing an internet search on the following: Special Virus Cancer Program + Boyd Graves; Special Virus Cancer Program + Robert Gallo; Tetrasilver Tetroxide Patent + cure for AIDS; The Journal of Degenerative Diseases Volume 5 Number 3 + AIDS Made in America. You will find that the real culprit is a synthetic biological agent bio weapons designed and deployed for the purpose of depopulation and financial gain. One to kill (AIDS); and one to disable (ME/CFS). It’s a mycoplasma/ retrovirus combination. The scientists who have stumbled upon the truth are quickly shut down and threatened in order to prevent them from doing anything with the information. Funding goes to people who are willing to “play ball” and lead the research away from the truth while providing additional money for pharmaceutical drugs that do little to help and in many cases do real harm. There is a cure and they know it! In addition to Tetrasil which was not allowed to be made available, electro-magnetic devices such as those recommended by the late Dr. Bob Beck (Sota) to electrocute the pathogens, and others are effective far beyond any drugs being pushed by the pharmaceutical patsies. Name the scientists who have been shut down. Tetrasil and electro-magnetic devices… Really…Geesh. I’m surprise this comment was not moderated. Yes, I think Dr Al goes too far. This is by no mean meant to be a popular post, but here goes. Dr Snyderman would be best engaging his own colleagues, and scientists as of why he has a response to ART than engaging patients the very same day said patients are eing told there is no association between XMRV, pLMV and ME/CFS, ME, CFS whatever you want to call it. Chances are, the majority of us will not be prescribed antiretrovirals for treatment anytime soon. And the majority of us patients will not be able to verify/replicate your 1person clinical trial or even get tested for the defect. So the best next scenario is to encourage our government to fund research, and let the scientists do their work without interference. told you it wouldn’t be popular. It is not about verifying or replicating his “one person clinical trial”, it is about looking at the underlying truth behind those charts. Those results would not have been possible had there been no retrovirus present. Science is supposed to be about truth (I know, I know..,,,@@) so looking at the truth behind his response is the heart of the matter. Oh and btw, this blog is read not only by patients, but by scientists and researchers as well. I commend Dr Snyderman for carrying on his research and speaking out . For me personally yesterday left several unanswered questions and I have also said that science should never be seen as definitive which is what yesterdays study was being billed as by several quarters .Since when has science ever been definitive , science moves forward daily with new discoveries made all the time if it didn’t the likes of epilepsy and MS would still be deemed psychiatric disorders and they would still be blaming stomach ulcers on stress ! I am also very angry that our so called silver lining is that folk are doing research . How is that a silver lining when it should have been done 25 years ago ? So how far away from answers are we after today 5 ? 10 ? 15 years more ? That will be way too late for many who are already sick . Mean while in the UK we get headlines like this ‘ME is probably a mental illness after all – but that does not mean that it is not real’ and articles saying NO VIRUSES are responsible for ME with public comments that would make your toenails curl and your hair fall out .I fear the future for anyone in the UK with ME after yesterday it is far bleaker than it was before which I did not think was possible . I also took offence to the ‘we need to make more noise statement ‘ weve been making noise and nobody has listened . Here in the UK if we make any more noise there is a strong possibility that you could end up sectioned and placed in a mental health unit .Even the UK charities yesterday were useless infact the only one which tried to debunk any of the rubbish being printed in the papers here was AFME Action for ME ( believe me Im as suprised as anyone to be singing their praises ) . Sorry ive gone off on a tangent but I really do feel that folk are totally oblivious to the realities of this illness . People are sick , people are dying its a myth that people do not die of ME you only have to look on the memorial website http://www.ncf-net.org/memorial.htm to see how many have already been lost and this im sure this list is in no way comprehensive infact probably only a very small percentage of all those who have died . We have to move forward. Whilethere may be no theoretical association between ‘primary or dominant causality’ of ME/CFS in cohorts from XMRV, pLMV in the way that Center for Infection and Immunity conducted their “Multicenter Study on Chronic Fatigue Syndrome/Myalgic Encephalomyelitis” , known as the Lipkin Study. I too beleive that while these two retroviruses may not be causal in ME that they participate in the pathogenesis of ME and most likley of Cancers. I am ME, Fibro, Sjogrens and I am pMLV aswell as HepA, Barmah Forest Virus and EBV Mononucleosis. So Iam convinced that Virus’s play a role in ME/CFS. I was glad to hear Professor Ian Lipkin say that he too thinks Virus’s play a role in ME/CFS last night. One has to ask how does the XMRV, pLMV occur in the 6% of the patients cohort for both the ME/CFS and for the control group in the “Multicenter Study on Chronic Fatigue Syndrome/Myalgic Encephalomyelitis”? One has to ask what does the XMRV, pLMV do in ME/CFS patients to the polyclonal B Cell activation? One has to ask what does the XMRV, pLMV do to the ME/CFS patients Gastrointestina tracts and Lymph glands? One has to ask what does the XMRV, pLMV do to the ME/CFS and Cancer patients once its ‘activated’ ? one has to ask how does itend up in a Human? Is XMRV and pMLV in Humans from XMRV and pMLV contaminated Innoculations that were grown in contaminated XMRV and pMLV host mice in the laboritory? Where did you take that patients were recruited by telephone? The cohort was handpicked and selected from expert doctors’ practices. Some people out there has got to stop dramatizing- all of the authors on the paper are most reputable in their own fileds. As for lawsuit, you’ve got to be kidding me, right? This is grounds for ERV to make a new blog post and put that on google. Experts in fatigue we don’t need. This should have been a study looking at people with ME. ERV LOL. The person who came up with the fantasy explanation for labels that Science magazine had changed. Having been fully aware of the use of AZA from the start and not wanting it in the paper. AZA by the way, proved the viruses are integrated and replicating. I am sure this has been explained to her by now. ERV has zero understanding of gamma retroviruses. This is ERV commenting on the reaction to her wacky blog. This comment just shows how ignorant V99 is of real research practice, and how little credit should be given to her comments. They weren’t *recruited* by phone; they were screened. As in people meeting various criteria will have been removed from the potential pool or kept in. This is so you remove confounding factors eg. if a patient is taking a certain medication, it may mean their samples couldn’t be used, so you might as well remove them straight away. From her link “Clinical site investigators recruited and screened subjects previously diagnosed with CFS for this study. At the study visit, potential cases completed multiple detailed study instruments covering symptoms, past medical history and level of function, and then underwent a physical examination and venipuncture. Based on a study algorithm that used physical examination findings and patient responses on the study instruments, potential case subjects were identified as meeting inclusion criteria for the study if they were between the ages of 18 and 70; met both the 1994 CDC Fukuda criteria for CFS and 2003 Canadian consensus criteria for ME/CFS; reported a viral-like prodrome prior to the onset of CFS, defined as three or more of the clinical features fever, headache, gastrointestinal discomfort/upset, malaise, sore throat, myalgias, arthralgias, and tender lymph nodes; had reduced functional status on at least two of the three subscales of the RAND36 survey (vitality subscale, <35; social functioning subscale, <62.5; role-physical subscale, <50) and <70% on the Karnofsky performance scale of functional impairment; were not pregnant, not <3 months postpartum, and not currently lactating; had none of the exclusionary criteria in the 1994 CDC Fukuda criteria for CFS and 2003 Canadian consensus criteria for ME/CFS case definitions; and had no diagnosis of past or current medical, neurologic, or psychiatric illnesses. If subjects met the inclusion criteria,[samples were taken]…." I quoted the correct paragraph where they say patients were “screened” by “telephone questionnaire.” Anon on September 19, 2012 at 10:26 pm and yourself used the word “recruited”. If you calmed down a bit I am sure you would have known that. Perhaps this explains why have not understood who was in the cohort. Besides, in your defense I will say that telephone screening is part of the recruitment process. It still is an embarrassing and foolish way to select people for a study looking for retroviral infection or undertaking any scientific investigation. In the link to the Lipkin study that I posted, they also admit that the people they diagnosed with CFS over the phone using the Reeves questionnaire were then further tested, but the testing was minimal. At no time do they say they were diagnosed any other way by any clinician. To be included in the study people diagnosed over the phone only needed to then answer questions correctly at the study visit (to their home?). I will split this in two to help, here are the first inclusion/exclusion requirements. -They needed to have no diagnosis of past or current medical, neurologic, or psychiatric illnesses. -They had to between the ages of 18 and 70. -Not pregnant, not <3 months postpartum and not currently lactating. The first 4 parts I list are neither here nor there. The patients underwent a physical examine and some basic blood tests, but you could hardly say they would not have had other medical problems, neurologic, or psychiatric illnesses ruled out from the minimal tests, physical examine and questions they asked. Viral onset also has no meaning when other ME patients do not have viral onset. But the worst part is the patient criteria. -Had to meet both Fukuda criteria and Canadian consensus criteria. -had none of the exclusionary criteria in Fukuda criteria and Canadian consensus criteria. -Meet only 2/3 questionnaire scales of the RAND36 survey (vitality subscale, <35; social functioning subscale, <62.5; role-physical subscale, <50) and <70% on the Karnofsky performance scale of functional impairment. This means that the exclusions had to be in both criteria. Any exclusion only in one criteria was not used. Either way neither of those criteria exclude major depressive disorder, anxiety disorders, somatisation disorders or depression. A patient also doesn’t need to have the main feature of ME to be diagnosed with Fukuda or the Canadian criteria. Lastly, scales they set for the 2/3 on the RAND36 survey is above the 50% set by the Canadian criteria. So this home spun criteria are no use to ME patients and those present were unlikely to have had ME. Looks like we are being messed with again. Dr Mikovits, Dr Ruscetti and Dr Hanson did find PCR positives in the Lipkin study, along with serology positives. Thank you for this blog post Dr. Michael Snyderman. So good to see a post written with calm and reason after the hype we saw yesterday. Thank you, Dr. Snyderman, for sharing your experience. I wish you continued improvement. No immunological measurements made in Lipkin study despite retroviral infections causing immune abnormalities. 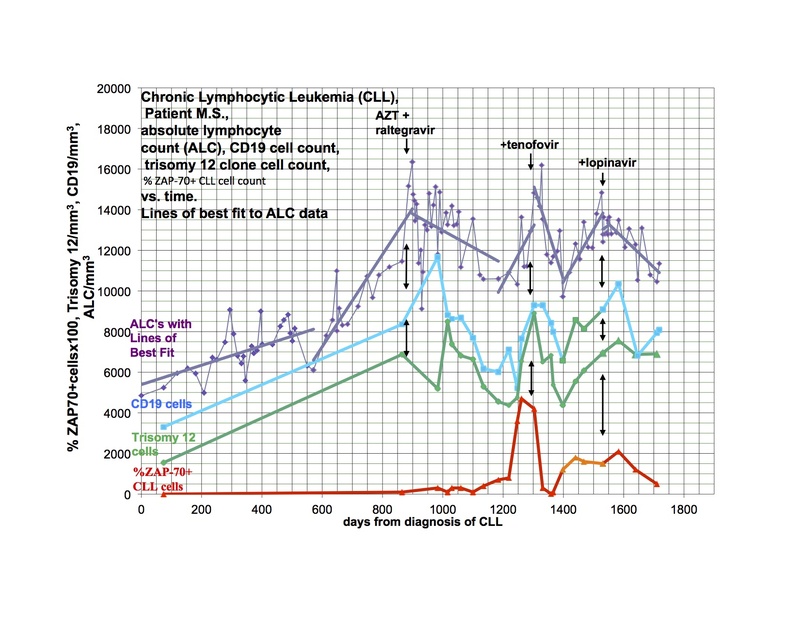 This is a study built on a foundation of quicksand not measuring the immune profiles of patients and excluding those without immunological abnormalities is breathtaking incompetence! Especially when the director of the study knows that at least three quarters of patients carrying the CFS label have immunological abnormalities. CFS is a label given to people with a constellation of different diseases (Ian Lipkin said that). The hypothesis is that a gammaretrovirus caused one of those diseases. If a serious attempt was to be made to investigate this matter then only people with immunological abnormalities would have been investigated, but no immunological measurements were made in Lipkin study despite retroviral infections causing immune abnormalities. This is from the Lipkin study. The rule applied to the CDC for what they could say was positive. Notice how for a positive result a specimen had to be XMRV/mPLV DNA free. Yep, they say the viruses don’t exist in people, because your sample was positive. Thank you for speaking up, Dr. Snyderman, especially on a day that was designed to bring our hopes crashing down yet again. Please keep in touch. We appreciate that some doctors do care about us. Thankyou for writing about your illness and your trial of antiretrovirals. I have looked at some of the pharmaceutical effects of antiretroviral drugs and it seems that many of them have quite powerful immunomodulatory actions, in addition to their antretroviral properties. Dr Snyderman, could the immunomodulatory effects of the drugs you are taking account for your blood results and the improvement in your cancer and CFS? Or do you feel that a retrovirus or other infective agent of some kind is the only thing that can be driving the pathology you see? You are well placed to understand the significance of your test results as they respond to your medications. The positive results from the norwegian rituximab trial are interpreted by the authors as suggesting that ME may be an autoimmune disorder. I cannot help wondering if those patients who have trialled antiretrovirals may be benefitting from their immunomodulatory properties rather than their actions as antiretroviral agents.